Home Blockchain When do you need a Blockchain? Is there any real use of blockchain in a production environment? Isn’t blockchain a solution which is trying to find out problems? Isn’t it just a fancy name of a traditional database with a lot of inbuilt inefficiencies? What is the potential of blockchain? 80% time this question comes from the context of creating new jobs? What are the few good use cases that people are working on? The governments around the world giving more attention to blockchain than any other technology might have received. What will happen if I don’t adopt this? If you ask me this question today then my immediate answer will be NO. Life is going alright. A few nationalist governments here and there will create some challenge once in a while and eventually things will settle down. However, if you closely look at the evolution of money and development of accounting practice then the answer will be YES. It is not whether you will need it or not – the better question will be when do I need this? 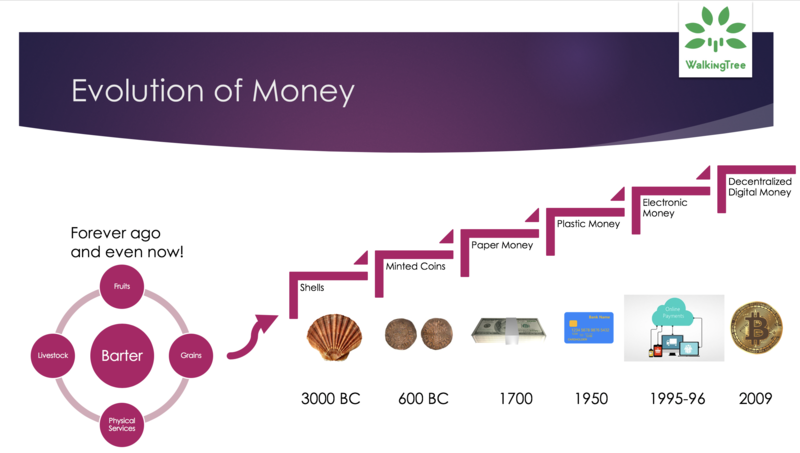 As shown above, we do have certain challenges with decentralized digital money. However, eventually, we will overcome them through improved technology. In order to streamline them further and ensure that there is an appropriate trust in whatever mechanism people decided to use, there came an arrangement of the accounting system. While the accumulation of “whatever is of value” gave way to people building armies and acquiring/protecting such values, the development of accounting system provided ways to govern them and make the process efficient. 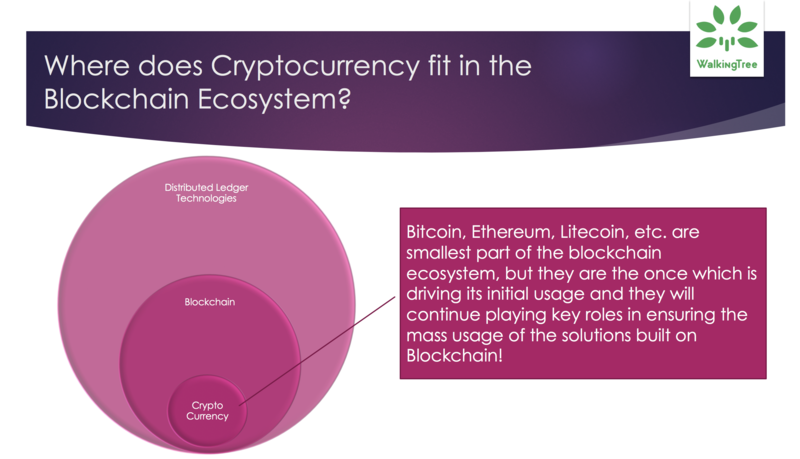 Yes, cryptocurrency is a small part of the overall blockchain ecosystem. In fact, many pundits call this a Fraud and many governments are so afraid that they have even banned this. However, I feel that if blockchain is a vehicle then cryptocurrency is oil. We can definitely talk about electric vehicle (and say Hyperledger is an example), however, the fact is that not everyone has access to an electric vehicle and one shoe doesn’t fit everyone. 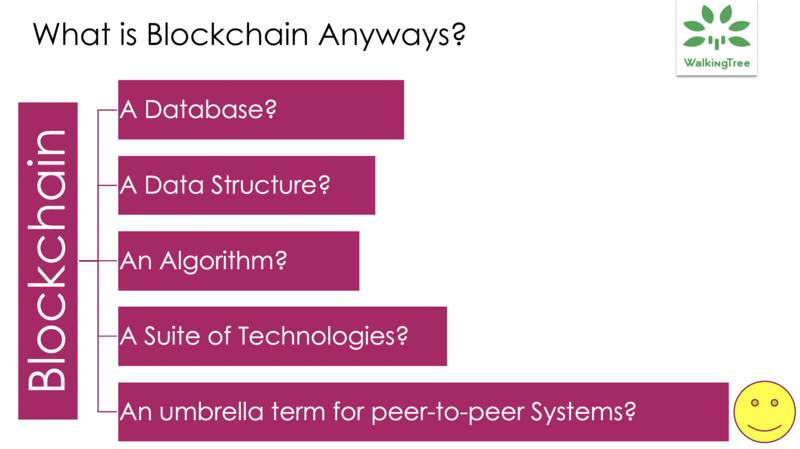 For now, if you can hold onto the last statement, which says that it is an umbrella term for peer-to-peer systems then you may be able to apply this to a wide range of problems. One of the most common myths around blockchain seems to be the thought that Blockchain is a solution. Either you use blockchain or you don’t use blockchain. The fact is that in the real world it is not that straightforward. Also, Blockchain is not a solution. It is a technical pattern, which can be used to solve problems where the given pattern will bring in efficiency. Like a technical pattern, on its own, it may not be of a great importance. However, when it gets combined in an ecosystem to solve a specific problem then it provides tremendous efficiency and possibilities. Ethereum, Bitcoin and many other public networks have already proven that implementing blockchain in a given context opens up many opportunities. It solves many problems directly and in fact, allows users to build a framework/platform around them using which several other problems can be solved. Further, allowing users to build DApps, integrating with the existing processes and capabilities, etc. allows users to be a lot more creative and solve problems which looked unthinkable until a few years ago. So what? Why do I need this anyway? As you can clearly see, in most of the cases you will not need a blockchain. However, there are cases where a certain level of transparency with a certain level of governance or control can make life a lot easier and transactions will flow very nicely. If we are not able to use blockchain for such purposes then it clearly means that we are opting to live inefficient life. Then, whoever is working on ensuring efficiency, they will have a clear edge over the complacent or lazy people. What will happen if I don’t adopt Blockchain? Frankly, nothing will happen today if you don’t adopt Blockchain. And even tomorrow doesn’t look that bleak either. However, there are folks who are advocating that blockchain is what internet was 30-years ago. When such comparison happens and you know that if you can do something today to be better after 30-years then you better do something about this :-). However, don’t just start doing something for the fear of missing out (FOMO). If the technology is really so capable then it will not die soon. So, do think about your mid-and-long-term plan and then decide on your investment. Does my use case require an immutable data? Do I have a security vulnerability, which can be solved through certain strong cryptography based solutions? Will publicly auditable and a single source of truth make my use case more efficient? Frankly speaking, if you have YES as an answer to the above questions then you are in a good situation to engage a blockchain expert to validate your ideas. We will be excited to guide you! An analogy between the usage of blockchain and Hot Sauce is interesting. There is no doubt that Hot Sauce makes a lot of dishes very tasty. However, you don’t apply that on every dish. 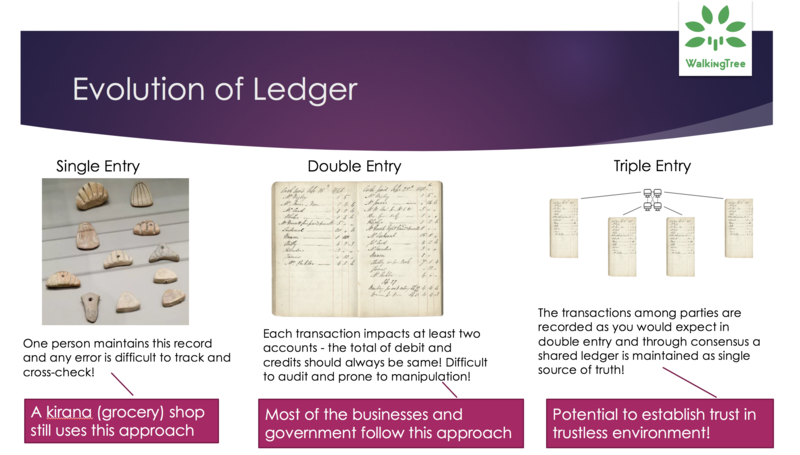 Similarly, the immutable and secured shared ledger feature of blockchain solves many problems effectively, however, this may not be needed for every problem. 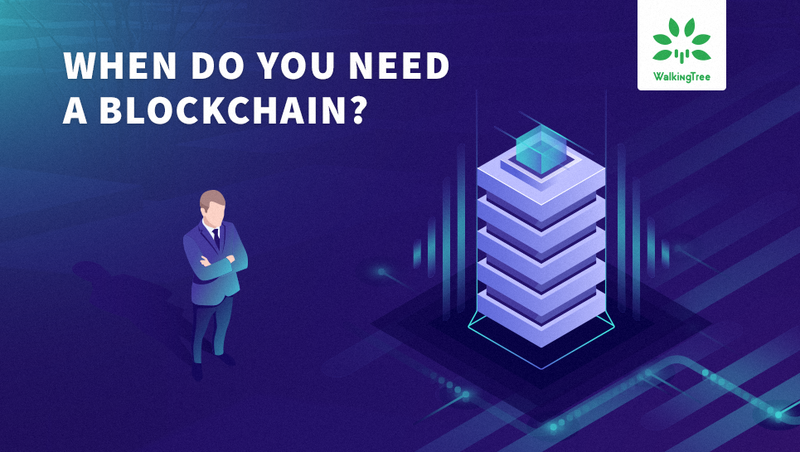 In this article, I have tried to explain how you can identify whether you need blockchain in your solutions or not. Also, I have tried to encourage you to validate if your use case has certain key criteria needed for a good blockchain use case or not. I will definitely recommend that you vet the problem statements and proposed solutions before jumping on the blockchain journey. However, I do believe that blockchain is a game changer and there is no point in closing your eyes and assuming that blockchain is just another technology hype.